If you're interested in natural solutions for skincare, chances are you've heard about plant stem cells. These cells have been an exciting discovery because they allow us to mimic what our own stem cells do for our skin. This is important because stem cells can help you maintain a youthful, healthy appearance. Plus, as I'll show in a moment, they can help fight skin cancer as well. Every organ in your body relies on stem cells because stem cells are "master cells." They regenerate damaged tissue and help the body repair itself. They have the ability to develop into many different types of cells. When a stem cell divides, it can either remain a stem cell or become another type of cell with a more specialized function — like a skin cell. And since our skin is our largest organ, stem cells are particularly important to it. Researchers have been fascinated by how stem cells work in the skin. New research, published in the journal Cell Stem Cell and conducted by Kim Jensen at the Biotech Research and Innovation Centre at the University of Copenhagen, recently investigated the role of these cells more closely. Jensen reports, "Until now, the belief was that the skin's stem cells were organized in a strict hierarchy with a primitive stem cell type at the top of the hierarchy, and that this cell gave rise to all other cell types of the skin. However, our results show that there are differentiated levels of stem cells and that it is their close micro-environment that determines whether they make hair follicles, fat glands, or sweat glands." Through this research, Jensen and his team were better able to understand how stem cells work and how they affect skin maintenance. These results give insight into how skin cells turn into skin cancer without any genetic changes in the stem cells. They've also been able to mark early stem cells so they can map the cells' behavior and create a "family tree" of cells. An interesting discovery they've made is that when tissue is damaged, different types of stem cells all rush in to help repair the damage as quickly as possible. But this can be dangerous, because this repair can trigger stem cells' genes to activate, which can give rise to cancer. This discovery helps the team have better direction in understanding the role of tissue damage in skin cancer — and gives all of us another reason not to damage our skin with sun exposure. Clearly, our stem cells are vital to the health of our skin. But we lose them as we age. That's where plant stem cells can come in and make a big difference. One of my favorite ways to take advantage of plant stem cells is through the Système 41 line of products. These products harness a plant-based stem cell extract called PhytoCellTec®, which reinforces your own stem cells to keep your skin looking young, healthy, and vibrant. Système 41 was developed by my good friend Janet Zand, OMD, LAc. 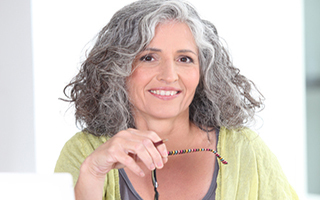 Dr. Zand is a board certified acupuncturist, doctor of Oriental medicine, nationally respected author, lecturer, natural health practitioner, and herbal and nutraceutical products formulator who has helped thousands of people achieve better health. I love her products as well as her Skin Care Insider newsletter. This weekly newsletter gives you information on how to protect and enhance your skin — naturally. Find out more about her products and her fantastic tips by visiting her at www.systeme41.com. Your skin will thank you. Medical News Today, 19 Aug 2013.